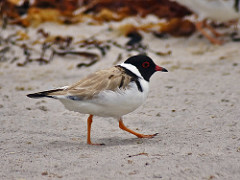 When flying at low dune sites keep your eyes out for Hooded Plover nests. They will typically be obviously marked with signs and enclosures. Give them plenty of space as they are very sensitive to disturbances when breeding (September to April) and are endangered in Victoria. 100 ft vertical clearance from nest. Avoid glider shadows on the nest. Avoid landing within 100 meters horizontally from the nest. Avoid walking past nest with an assembled glider. Nov 2018: One fenced off nesting site immediately east of Moggs Creek. Two active sites with birds incubating eggs, hatching due in near a week. 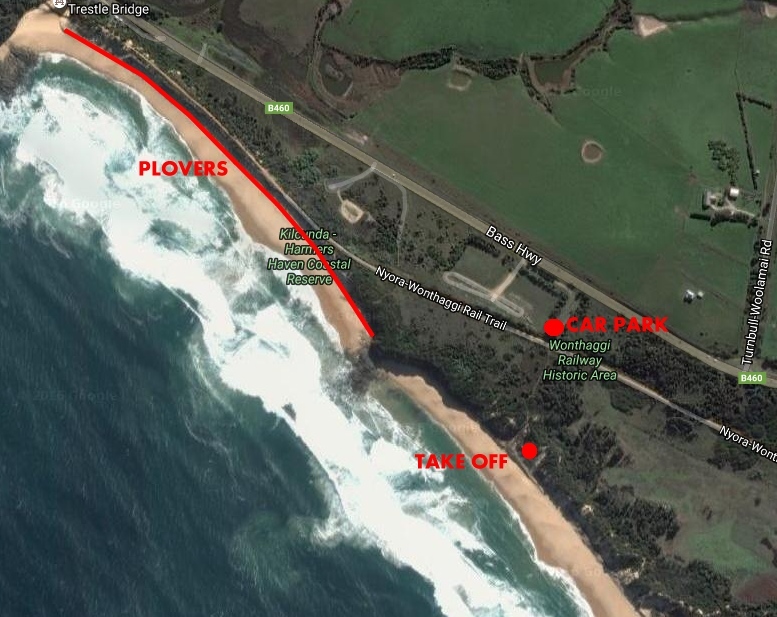 We have had a successful fledging of the chick at Ocean Grove, the chick was observed flying on Sunday afternoon by BirdLife volunteer wardens, initially flying along the beach then later flying over the sea. We have a nest at Farnsworth (west of the SLSC) that is due to hatch beginning of December. The chicks will be vulnerable for a month (until they can fly) and are likely to be on the beach landing area. We will have limited temp fencing on the upper beach. We will try to get a notice up at the launch area. 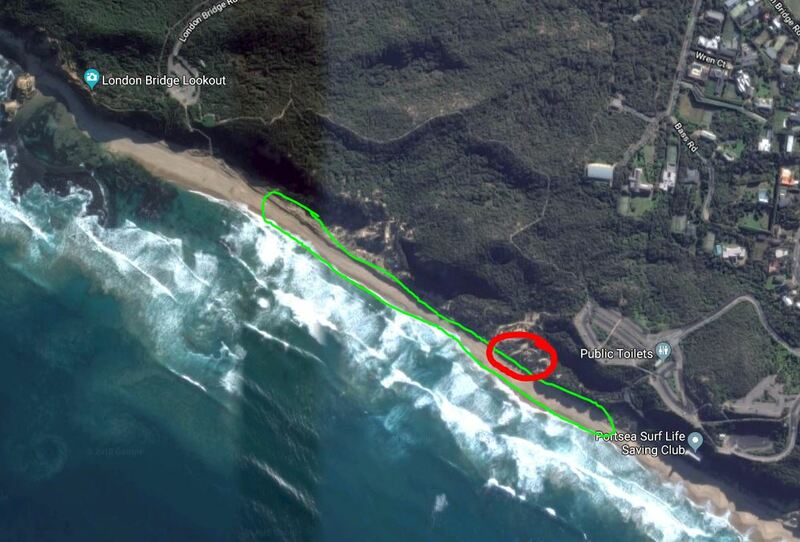 On the map the current nest is within the red circled area. Upon hatching the chicks are very mobile and it is difficult to predict where the parents might move them to. The area in green covers the territory they have used in the past. We will attempt to keep signage and fences up to indicate where the chicks are but they don’t always keep to those areas. Ideally the landings would be safest at the western end of the beach where possible. TBA - see signs at site.